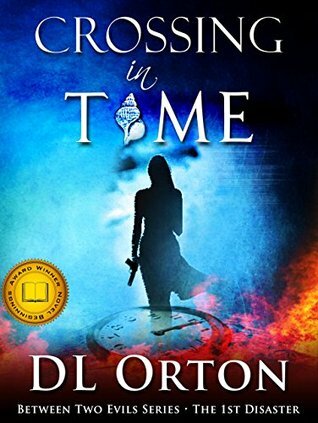 Now, I know one would think that knowing me and my other reviews; a "time travel, dystopian romance" would not only have my eyes rolling out of my head but send me into Serena's Plight levels of anger. Neither of these happened. I LOVED this book. Isabel and Diego are both whip-smart, strong brave characters and there were precious few moments in the plot where I doubted they were anything else. And while their relationship takes center stage, supporting characters like Matt are quick witted, kind, and funny. All of them have such chemistry I didn't want to leave them (and I will be getting the next books in the series). The time travel bits can get confusing and part of me doesn't want to believe anyone could accidentally set off a nuke (but with how things are with a president who tweets unintelligible typos, it seems sadly likely) but overall, this story had even a cynic like me believing that one relationship could mean saving the world. 4.7 out of 5.